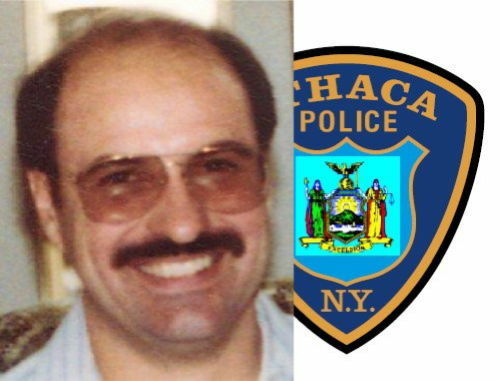 A wreath laying ceremony at 11am today will mark the 21st anniversary of the line-of-duty death of Ithaca Police Department investigator Michael A. Padula. The ceremony will be at his grave site at the Calvary Cemetery on Five Mile Drive. Inv. Padula died of a stab wound to the neck when he and other officers responded to a call for an emotionally disturbed person on November 17th, 1996. As Padula tried to convince her to drop a knife, the woman, Deborah Stagg, rushed out of her apartment and stabbed Padula in the neck. She was shot by another officer. More details in the original article on 14850.com: Anniversary of Ithaca police officer's death.